Do we need more incentives to spur Colorado drivers to buy electric cars? Imagine the satisfaction of never having to fill up at the gas pump again. Instead, you connect your fast charger and effortlessly fuel your electric car. For many, that is the green dream. But should you get a free ride in the HOV lane just for owning one? And is it really realistic in snowy Colorado? DENVER – Imagine the satisfaction of never having to fill up at the gas pump again. Instead, you connect your fast charger and effortlessly fuel your electric car. For many, that is the green dream. But should you get a free ride in the HOV lane just for owning one? And is it really realistic in snowy Colorado? State lawmakers are currently considering several bills focused on putting more EVs on the road, while Colorado's new governor, Jared Polis, has already announced his ambitious goal of using renewable energy only for the state’s electricity by 2040. Denver7 has already taken a 360 look at multiple perspectives on electric cars , and then asked the question of whether Colorado electric car drivers were getting a free ride after receiving viewer feedback. With new laws being proposed and one on the way to Polis’ desk, Denver7 is revisiting Colorado's green dream with seven new viewpoints. Nigel Zeid is a self-declared EV geek. "Once driven, forever smitten, really," he said. Zeid sells the electric Leaf at the Boulder Nissan dealership. "There's nothing better than seeing someone's face when they first pull away in one of these," he said. For Zeid, he points to the need to deal with Denver's brown cloud and growing greenhouse gas pollution as two of many reasons to go electric. "One pound of CO2 would be a 30.5-inch diameter yoga ball. Nineteen of those is what comes out of one gallon of gas," he said. "It is our future because we can't carry on as we are." As for his take on giving drivers more incentives to buy electric, Zeid said he believes there are already plenty. He is not sold on state lawmakers’ recent push to give EV owners a free pass in the HOV lane. "There's enough people that get annoyed that there are federal and state tax credits on it. We don't really want to be rubbing their nose in it with HOV access as well," Zeid said. 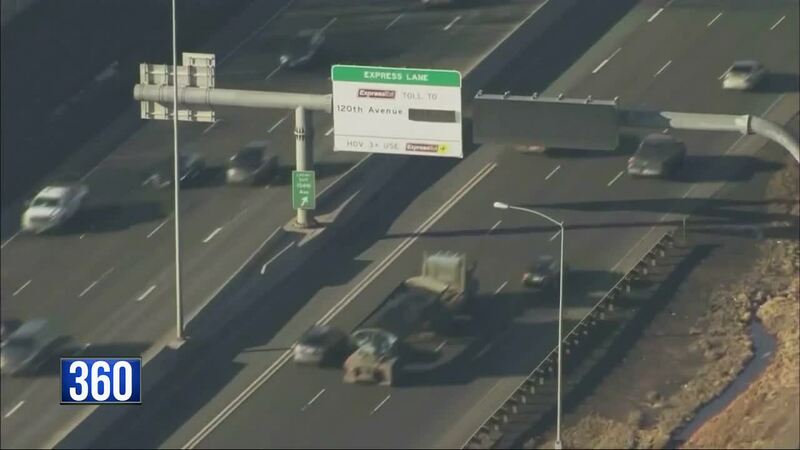 HB19-1199 , known as the Colorado Clean Pass Act, would allow electric vehicle owners to use HOV lanes for free and all other express lanes for half price. Current law says only drivers with three passengers in their car can ride in the HOV lane for free. The measure is still making its way through House committees. Tyler Svitak has owned the Audi A3 e-tron, a plug-in hybrid, for two years. "I'm absolutely for them, I think that there are enough models on the market today and they're affordable that there is a model for everyone. Especially two-car households," he said. Svitak said he also supports the idea of giving electric car owners free HOV access. Gov. Polis signed an executive order early in his tenure in January that seeks to put Colorado on a goal toward using 100 percent renewable resources for the purpose of electricity generation by 2020. The executive order also created a working group to promote electric vehicles and said money from the state’s settlement with Volkswagen would be put toward investments in electric vehicles and infrastructure for them. He also ordered the state Department of Transportation to work on similar policies as part of the order. On Monday, the Colorado Senate passed in a 20-15 vote HB19-1198 , which ties in with Polis’ requests. The measure would allow the state’s electric vehicle grant fund to be used to extend grant money for the installation of electric charging stations and to offset operating costs of those charging stations once they are set up. The bill, sponsored by Sen. Jeff Bridges, D-Greenwood Village, heads to the governor’s desk after it passed the House 39-23 in early March. “By making our state friendlier to electric vehicles, more Coloradans will invest in them, helping to protect Colorado’s land, water, and air for generations to come,” Bridges said in a statement. Colorado pickup truck and SUV drivers have mixed feelings about hybrids. Those drivers that Denver7 spoke with said they see situations that would not be conducive to driving electric vehicles, including in winter weather and on roads that require high clearance. Others said the vehicles – even with the incentives – were cost-prohibitive for many. For Carl Cole, who drives an SUV, he said he is less concerned with the HOV access and some other incentives, but more worried about being able to pay for such a vehicle. “If I could see an electric car for like $15,000 – somewhere in that market … I would totally drive one if I could,” he said. Jerry Manley, who drives a truck, says he is not sold on the technology the cars bring compared to his pickup. “It’s like everything else: It’s a disposable world and I don’t want to buy a disposable car,” he said. "We just don't think it's government’s role to tell consumers what vehicle they have to buy," said Tim Jackson, the executive director of the Colorado Automobile Dealers Association (CADA). Jackson said the CADA is suing the state over previously adopted low emissions vehicle standards. Polis' order goes even further and asks the state health department to establish a zero-emissions vehicle program no later than May. "Colorado is looking at adopting the California vehicle emissions standards and the problem with that for Colorado is that we have a much different terrain and a much different market for cars," Jackson said. He views any added incentives to buy EVs as unfair to most car owners. Jackson points to data, which he said shows three out every four cars sold in Colorado last year were pickups or SUVs. Electric cars only made up 3 percent of all cars sold in the state. “If I’ve got an electric car, I’m going to really like having access to the HOV lanes. And we hear in California that’s as attractive to electric car buyers as the cash incentive, and we all know how bad traffic can be," Jackson said. "I think we have to be asking ourselves, should the government be incentivizing a specific choice in the market?" said Britton Naas of the Independence Institute, a Libertarian think tank in Denver. Naas said the government advocating for one type of vehicle only furthers the economic and geographical divide. "To prioritize an individual who statistics indicate likely makes over six figures or has the luxury of choosing an electric vehicle based on their profession should not be given priority, especially in taxes, over someone who does not have that luxury," Naas said.